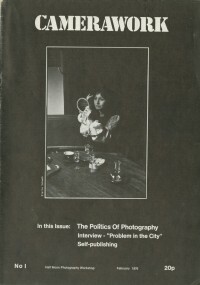 Four Corners Archive explores and documents the film and photographic heritage of Four Corners, Half Moon Photography Workshop, and Camerawork Magazine, from 1972-1987. 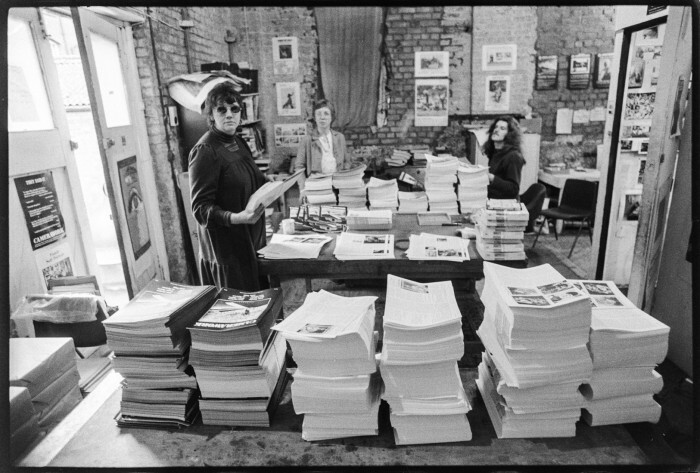 Four Corners and Half Moon Photography Workshop (later Camerawork) were two innovative cultural organisations, based in East London. Their early work played a major role in the development of the radical film and photographic practice characteristic of the 1970s and early 1980s. 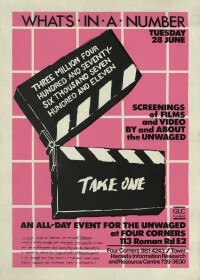 The project brings these unique archival resources into the public realm, making this important contribution to British cultural history widely accessible for the first time. You can search our archive in different ways and even save items to your lightbox to email the link for another day. Download our handy user manual for further functions. Four Corners Archive is made possible through the generous support of the Heritage Lottery Fund and the Paul Mellon Centre for Studies in British Art. We are delighted to be showing at FORMAT19 International Photography Festival. Our exhibition reactivates the archives of Camerawork magazine, situating its radical approach within the context of our current social and political moment. The exhibition explores Camerawork's focus on 'history from below': working lives and communities, protest movements and the use of photography in oppositional culture. 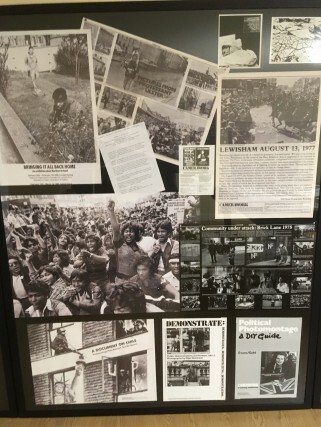 Archival touring exhibition posters are shown alongside. Our own era of austerity and Brexit has seen a revitalised interest in socially-engaged photography. Camerawork Revisited brings together archival material with recent work by six documentary photographers. Curated by Four Corners in collaboration with Invisible Britain, with artists Rob Clayton, Joanne Coates, Les Monaghan, J A Mortram, Nicola Muirhead and Fiona Yaron-Field. The exhibition runs at Pickford's House, Derby, 15 March-4 May. This project is dedicated to the fond memory of Ed Barber (1949-2017), an important early member of the Half Moon Photography Workshop and Camerawork magazine, whose energy and enthusiasm helped create this project.